Audi got the green light from California to test its self-driving car. Audi and Google have both received an autonomous driving permit from California. Audi said the permit was issued the same day that new state regulations governing the testing of self-driving cars go into effect. Audi (AUDVF)said that it's already tested self-driving cars in Europe and other U.S. states where testing is permitted. It said the California is particularly important as a testing ground, since it's home to the company's Electronics Research Lab. The lab, known as the ERL, is owned by Audi parent Volkswagen (VLKAF) and is located in the Silicon Valley city of Belmont. Google (GOOG)revealed its self-driving prototype in May and expects it to hit the market in the next five or six years. Google has also been prepping its self-driving test cars to fit California standards, which requires the test vehicles to have manual controls. "After each vehicle is assembled, we fit a temporary steering wheel and set of controls into it," said Google, in a recent blog post. "We'll remove these manual controls after the prototypes have finished being tested and permitted, because our vehicles are ultimately designed to operate without a human driver." Nevada, Florida and Michigan have also passed legislation allowing for the testing of self-driving cars on public roads. 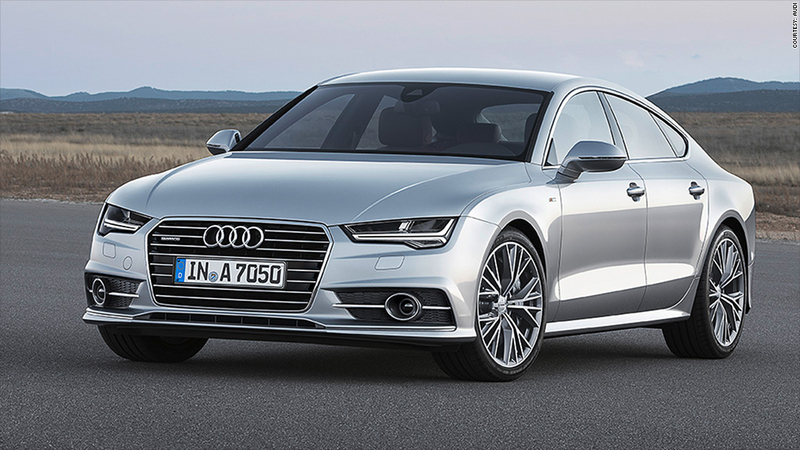 Audi said that in 2012 it was the carmaker to receive a Nevada license plate allowing autonomous driving. Nissan (NSANF) plans to have a self-driving car on the market by 2020.